Send corrections and additions to me. This is a basic introduction to plywood and epoxy boatbuilding. It is based on builders' actual experiences and covers lauan, BC pine, fir, okume (occume), marine plywood and plywood over foam. Most of the discussion occurred in the context of boat designs by Phil Bolger. 1. Which Type of Plywood? 3. How Can I Use Plywood/Foam Laminations? 4. How Should I Paint/Finish Plywood? I have some questions about plywood experience for fellow Bolgerites. My first project was a Pointy Skiff, in which I used 1/4 & 3/8 AA dougfir marine from ML Condon. Xynole covered the bottom and at least two coats of Defender's epoxy covered the wood, inside and out. Five years later, the doug fir ply is checking so badly that I sanded topsides virtually down to the wood and repainted with two coats of BenjMoore latex epoxy-reinforced enamel. After two weeks of drying on the sawhorses in the yard, the new coating also shows checking underneath. I've seen some threads in the rec.boats.building list that have blasted Condon for poo-poo quality of their fir marine ply. My next two projects were the Instant Kayak and Shoebox; the Kayak just launching last fall and the Box still sits on the porch, waiting for a deck and paint. Except for the Kayak's bottom, which used some leftover Condon's doug fir 1/4, I used 1/4 EXTERIOR glued lauan, bought for $11/sheet at a local lumber yard. The lauan had a couple of bad plys in a peeling strip about 6" wide, but I worked around. Again, all ply here has at least two coats (Raka, this time) of epoxy and, touch wood, no checking or problems so far. I've also seen reports, in MAIB and elsewhere, that people have had both good and bad results with lauan. Here's the kicker.... What's the "best" ply to use for my next project, the Birdwatcher? Should definately qualify that statement by saying that I'm a "workboat-type" builder, not really interested in a bright-finish "gold plater," a la WoodenBoat. I'm hoping to "get away with" epoxy/glass coat(s) only on the bottom and use paint from the waterline, up. PS, so far all my boats have been freshwater only. Birdwatcher's expected to get some Barnegat Bay and Chesapeake use. Ned Asplundh writes: "What's the "best" ply to use for my next project, Birdwatcher?" Ned's concern is pretty universal across the spectrum of builders who use ply as the primary construction material. As with so many building questions, there is no one "right" answer for all occasions. I use okume for all my building, except for summer camp programs where absolute low cost is a base-line requirement. I hate building with softwood plywoods, but I'll do it to get to work with kids. I'll relate what I know about okume, I hope others will provide info on the other woods. In my experience, checking in softwood plywood has to with the nature of the wood, not the supplier. All softwood plywood checks, some worse than others. As Ned has discovered, there is no way to stop the checking, the best that can be done is to refinish as necessary to fill the checks as they appear. There is a widely held idea that okume does not check. This is not true in my experience. When refinishing two of my older canoes built with okume, I noticed random patches of cracks in the paint. The cracks appeared as a series of parallel razor cuts about two or three inches long. The cracks appeared in both the inside and outside of the hulls, where the face plys were in compression and tension respectively. For this reason I don't think the cracks were a result of forces induced by the building method. It was simple enough to sand the hull down to bare wood and refinish starting with primer, etc. Simple, yes; but a waste of time. In recent threads it has been pointed out that Bolger says that the hull is the last place to scrimp. It will take the same amount of time to build a hull out of softwood ply or okume. It will take much less time to finish the hull if you use okume. In the short term the okume will be more costly, in the long term it will be less expensive. (On a wood hull, "finishing" is a misnomer; you're never really finished what with the need for annual touch up or recoating.) Should you later decide to sell the boat, there is a higher probability you will recoup your building costs (that is material costs, but not your labor) if you build with first grade materials. 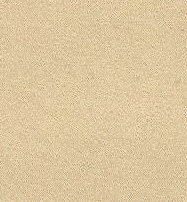 Above 4mm thicknesses okume plywood has five plys. It is lighter, stronger, and more dimensionably stable than softwood plywoods. In the better-made panels it is virtually knot and void free. It is considerably easier to scarph if that's how you plan to join panels. It finishes much easier and quicker than softwood plywood irrespective of the level of finish you're going for. Israeli-made (don't remember the name) has a 3" diameter blue label -- frequent knots in face ply, some quite large; relatively thick glue lines; center plys have tons of knots, crazy grain, and multiple pieces; no Lloyds certification. All three are "okume," but depending on from whom and how many sheets you buy (volume discounts usually start at 10 sheets) Brunzeel can be twice as expensive as the Israeli. All three are better than softwood plywood in my opinion. If I were finishing bright, which I do very rarely, I try to use Brunzeel. For general purposes Shelman is fine. The Israeli-made sheets will do fine for most everything, but if subjected to tight curves or hard twisting you can get some collapsing of the center ply and delamination of the surface ply in tension due the grain irregularities around the larger knots. I've had the same problem Ned experienced with douglas fir marine ply from two different sources, one a local lumber yard and the second Sampson (then don't make marine ply anymore) ply through Harbor in Baltimore. The first was used on my Zephyr and finished a la Dynamite Payson's recommendations; that is sealer and primer, but no epoxy sealing. The decks and part of the hull checked. I used the Sampson on my 30-footer and have noticed that anywhere that is glassed with epoxy has not checked, but some of the wood finished with only epoxy only has checked. (I was refinished one such part of the boat earlier today, in fact). My observation is if the epoxy is too thin, the fir ply will check underneath. (Come to think of it, I had fir ply decks on my Elver covered only with one think epoxy coat and they checked very badly.) I've refinished the Zephyr checks with a very thick layer of epoxy and they've held up so far. Another observation is the darker the paint, the quicker or more likely the fir ply underneath will check. I'd also like to hear what others think about using BC pine. I'm finishing a Piccup Pram using it and have so far been very impressed. The quality, at least here in Florida, is excellent. I bought five 1/4-inch sheets for this boat and there was only ONE void. There are catches: while true marine ply will usually lie flat, the pine usually has some bend (not really much of a problem. small boats don't have large flat areas)) and it is heavier. I'd guess it's about 50 percent heavier than fir, and maybe almost double the weight of exterior lauan. I seem to have read somewhere that checking is not a problem with the pine ply, but don't have any first-hand experience yet. The price here in N. Florida is actually a bit cheaper that for lauan. As for using the BC on Birdwatcher, it depends. (I too have the plans as a possible, some-day project). If light weight is critical, you might want a lighter wood. If not, I certainly would use it for the bottom, where it would be reassuring extra ballast. (A cautionary note: the 1/2 inch BC I've seen has been good, but not quite the quality of the 1/4-inch.) Birdwatcher is supposed to weight around 600 pounds empty, but up to 1,500 pounds loaded. That would seem to indicate it could carry the extra weight of BC pine with no problem, But I'll leave it to someone to guess how much wieght it might add. Anyone out there know? I've used Far Eastern lauan play for all my boats. It's about $15 a sheet for 6mm, $30 for 12mm. It is stamped BS1088, but if you believe that . . . Nevertheless, its only bad fault is thin outer veneers - you need to be careful not to sand through them. Voids are small and infrequent. I used this stuff for an Oughtred skiff 8 years ago, finishing it with three coats of WEST epoxy and 2-part linear polyurethane paint. It hasn't needed repainted since then (apart from dings) and looks good for another 8 years at least. BTW the boat is kept outside all year round. I used it 5 years ago for a Payson Pirogue and used household paint on it. Again there are no signs of delamination although the paint is flaking a bit, and the (polyester resined) glass tapes are showing initial signs of coming off at the edges. More recently I built my Chebacco 20 with this - loads of epoxy and glass ou the outside of the hull, and 3 coats of epoxy inside. there are no problems after one season. Having said that, I've seen other lauan (or similar) ply (from South America) that I wouldn't touch with a bargepole - filler patches in the outer veneers and so on. I guess careful inspection should be your initial guide. I'm not much of one to talk since I generally use castoff construction plywood and lauan, but John Harris has convinced me over time that decent ply is the way to go. He has told me that CLC sells a lot of 3mm okume for $32/sheet plus shipping, which of course supplements their kit business, and judging from the CLC built boats I've seen, it's good stuff. Without question in a small, small boat, where the materials call for 2 or 3 sheets for hull, I'd plan on okume given what I've learned. OTOH, decks and things can be made in many ways and you can save a little here if you're going to epoxy-sheathe or otherwise seal up anyway. I've had no trouble so far this season on BC sheathing salvage stock, painted with several coats of polyurethane porch enamel, on all the miscellaneous parts of Zack the Proa/Canoe/Junk. Zack sits in the weather all the time. ...In response to someone's query about quality of ply. I'm no expert, but I did work at some of the last mass-produced wooden boat factories (Revel Craft, Owens etc. where ply was used extensively) and I've built and repaired ply boats for 40 years, so maybe I can offer my experience. Douglas fir ply will always check unless it is sheathed in cloth of some sort. Just plain epoxy coating will not prevent it, especially on horizontal surfaces receiving a lot of UV. Lauan also checks. The cabin top of my Skimmer is African mahogny (the real stuff) and it shows no signs of checking after several years. I've tried everything to repair checking once it starts and I've had the best luck by first sanding and then troweling on warmed 5200 to fill all the checks. Then paint. Of course, this only works if your not too picky about your finish. It doesn't matter to me, because I'm more of a workboat finish guy than a see-your-face-in-the-piano-finish type. I hasten to add that we don't really make any money off the plywood. It's just that we ship so much big stuff that we had the clout with the air freight companies to negotiate the shipping prices down. This has been a boon to folks, in the Midwest especially, who aren't close to one of the three or four lumber companies that sell Okoume for a reasonable price. I've heard of lumber companies special ordering and selling 3mm for $100 a sheet. Okoume? Occoume? Ocoume? Okume? Occume? I've seen it every which way in print. 'Okoume' is stamped on the sheets that come to us from Kelet Plywood in Israel. I use that spelling. There are only two reasons to use Okoume or other tropical hardwood plywoods: light weight, and smooth surfaces that are less prone to checking. The checking part doesn't matter much, because Okoume rots readily and has to be bathed in epoxy and preferably glass, so really it comes down to weight savings. This is fine in a kayak but I don't think it's worth it in a Bolger sharpie, even the lighter ones unless they are to be cartopped. I'm a big fan of domestic marine-grade fir. It has to be glassed if it's to keep a finish on it, and it's certainly heavy, but the quality is very high (I've never seen a void, ever) and it can withstand rot for a long time. It's also readily available at bigger lumber yards for a reasonable price. I don't want to get into AC or Lauan except to say that I've had bad experiences but still occasionally use them, with great caution. You can luck out on AC. When I was a subcontractor to CLC I had trouble finding material for a certain piece that is laminated on beneath the kayak's cockpit rim. It's pretty much out of sight so it only has to be able to withstand a wetting. I used 3/8" AC for awhile, which in general is dogshit but I discovered that the top two or three sheets of the pile at the lumberyard were always twice as good as the rest. Don't know why they were always on top but I could have convinced you that those sheets were marine grade, with nary a void. I also used an 3/8" underlayment grade plywood called Red Meranti, which was weird stuff. Not bad looking and never a void, but it had no face veneers, all thick laminates, and it bent funny. I used it for the cockpit laminates and also as bulkheads in a strip-planked boat once. When I moved to Annapolis I couldn't find it anymore. Fir plywood might or might not check, manufacturer or type doesn't seem to matter. Figure it will check. It will check through several layers of epoxy resin, but not through a layer of epoxy and cloth (take your pick on cloth, I use glass cause it's cheep and easy). I don't know if imported marine plywood will check but my guess is that it doesn't. But you pay for it. lauan is always a question mark. It won't check but you don't know what glue was used so it might delaminate. Put a peice in your dishwasher for a month and if it is still OK it won't demlaminate (this is a very ridgid scientific test used by leading tesing institutes everywhere). The core of plywood is more important than the face in boating aplications, as a void will collect condensed moisture and rot from the inside out. The primary differenece between marine fir and exterior fir is the cores, no more than four butts and plugged knots, filled holes, tightly butted for marine. Count the number of butts in lumberyard exterior. However, fir plywood, no matter how bad, is strong stuff. For me, the best compramise is to use the best fir I can afford and epoxy/glass the exterior of the hull, two or three epoxy resin coat the interior. This, to my way of thinking makes more sense than spending the money on imported plywood and not being able to afford to epoxy coat it. If money where no option, then imported ply epoxy/glass coated would be the way to go. I have found a source of a product called AB Solid core. This is made supposedly for floor underlayment so high heels won't go through it, but that doesn't explain the AB faces. There are more butts in the cores than marine, but they are tight and the cores knots are plugged. This stuff cost about half what marine fir costs, yet is much better than ACX. I have used it, with epoxy/glass coating in five boats and it holds up well, and is a delight to work. Anyone out there using Medium Density Overlay (MDO)? This stuff was developed for billboards, had a very smooth resin impregnated surface, shouldn't check and is relatively cheep. Bernie wrote: " Anyone out there using Medium Density Overlay (MDO)? This stuff was developed for billboards, a very smooth resin impregnated surface." MDO (medium density overlay) is excellent for boatbuilding. It is usually produced to state highway department specifications and is supposed to last in extreme weather conditions with no checking, with only paint for protection for as I remember fifteen years with no deterioration. It is usually pressed up with douglas fir cores and centers, with a thin face on either side of lauan then over that the MDO, which is a phenolic resin impregnated paper which is stippled to easily take and retain paint. The MDO is impossible to separate from the plywood and is the reason why highway signs last practically forever. HDO (high density overlay) on the other hand is not good for boat construction. While it is even more indestructible than MDO, paint won't stick to it, and not much else will either. HDO is built using the same process, the paper is a heavy phenolic coated paper, but it is constructed to be used primarily for concrete forms, and formulated to be slippery so that nothing will stick to it. The reason for the lauan faces is to create a smooth surface which prevents the grain of the fir from telegraphing it's pattern through to the surface. The same system is used for laminating fine-expensive wood veneer faces like teak over fir plywood, but without the MDO. The cost of MDO varies, but sometimes is pretty expensive. Years ago as a consultant working in the plywood industry, I watched a lot of plywood being laid up in the glue room, and in general MDO gets at least as much care as marine plywood, sometimes more and even better materials on occasion. The plywood, with the thin lauan faces without MDO, HDO, or veneer overlays are called "Decolam Blanks", are occasionally available, and make great boat wood if you can find it. You can tell what it is by measuring it. Usually it is slightly undersize because the MDO or veneer is missing. Most dealers don't know what they've got, and think that the "off dimension" is because it is perhaps imported, but that's not the case. Usually, it is made in 1/2", 5/8", 3/4" and sometimes 1" thicknesses. I have recently been introduced to a type of plywood referred to as Para-ply. Unfortunately, I haven't been able to find a very detailed description of it. I have sent inquiries to the Hardwood Plywood and Veneer Association, Boise Cascade, and the editors of "This Old House", and not any of them recognize the name para-ply. I purchased a sheet of it at Home Depot. I've come to the conclusion that para-ply must be an inventory code used within Home Depot. If this is the case, I wonder why they have a sign above/below the wood identifying it as para-ply to their customers I used this to make two projects so far. I am very well satisified with para-ply for both of these projects. However, I would like to know more about the wood. All I know about Para-ply is that it is a plywood product that comes from Paraguay. It is made from Birch veneers layered with grain in each layer running perpendicular to the adjoining layers. It is available in 4 foot by 8 foot (or is it 1.2 meters by 2.4 meters) sheets 12 and 18 millimeters (approximately 0.5 inch and 0.75 inch) thick. The 18 millimeter thickness is made of 11 layers. Can you tell me any thing else about Para-ply? Is Para-ply a tradename? Is Para-ply a regional colloquialism used in the Dallas area to describe plywood imported from Paraguay? Is the same thing available by other names? Is Para-ply made of any wood other than Birch? Is Para-ply thickness always dimensioned in meters rather than feet and inches? Is Para-ply width and length really dimensioned in feet or is it meters? What are the strengths and weaknesses of Para-ply? I have a vigorous curiosity. Keith Parris wrote: " I have recently been introduced to plywood referred to as Para-ply." Other Common Names: Marfim, Pau liso (Brazil), Guatamb=FA, Guatamb=FA blanco (Argentina). Distribution: State of Sao Paulo, Brazil; northern and central Paraguay; and the Selva Misionera, Argentina. The Tree A small to medium-sized tree rarely up to 80 ft high and 30 in. in diameter. Has a well-formed, straight bole up to 30 ft high. The Wood General Characteristics: A nearly white or pale yellowish-brown wood without apparent contrast between sapwood and heartwood. Luster medium; grain generally straight; texture fine and uniform; without distinctive odor or taste. Weight: Basic specific gravity (ovendry weight/green volume) averages 0.73 for wood grown in Brazil and 0.65 for Argentinian material. Air-dry density averages about 50 pcf. Amsler air-dry toughness 581 in.-lb (2-cm specimen). Drying and Shrinkage: Can be dried without excessive degrade. Kiln schedule T6-C3 is suggested for 4/4 stock, and schedule T5-C2 for 8/4. Shrinkage green to ovendry: radial 4.6%; tangential 8.8%; volumetric 13.4%. Working Properties: Limited information suggests that the wood can be sawn and worked without undue difficulty. It is nonsiliceous and nonresinous and unlikely to have a marked blunting effect on tools; easy to finish and is reported toglue satisfactorily. Durability: Heartwood is rated as nondurable. Preservation: Reported to be resistant to treatment by pressure methods. Uses: Furniture, cabinetwork, tool handles, flooring, turnery. Suggested as a substitute for birch and hard maple. It's a good wood for non-critical parts of a project, drawers and the like. It really is dimensioned in Millimeters, and is thus even thinner than "modern under-sized plywood". A 3/4" thick sheet of "regular" plywood is actually 23/32" thick,which translates into 0.719", or 18.26mm. Paraply comes in 18mm thickness, which makes it 0.709" (no close multiple-of-eight fraction). Dado joints cut with a router, even a 23/32 straight bit, tend to be a little sloppy. My brother-in-law complained that it irritates his skin (the sawdust, that is). It is fairly dense and strong though. The sheets sometimes tend to not be perfectly flat - check the material out carefully before you buy it if you need an exceptionally straight piece. It's pretty decent stuff for the money, about $10 cheaper than the cheapest birch plywood. drbjk@aol.com (DrBJK) says: " Could anyone direct me to a source for information on ply/foam/ply sandwich construction ? My interest is use as deck, cabin, bulkhead use in flat panels. Thanks...Bob"
I've not seen any book specifically on this technique, but the following is my experience with it. The deck and roof of my 48 footer are buit with a sandwich of 6mm ply with 25mm PVC foam on the deck and 40mm foam on the roof. The density of the PVC foam was specified to be 55 Kg/m3 (I've actually used 75 Kg/m3). The deck was built on the boat over temporary frames. First the 6mm panels were cut and scarfed together (15m long). Then we laid them ove the sheer and the temporary frames. all edges as well as were HW need to be fixed we glued red cedar of the same thickness of the foam (25mm). We then fill the rest with the foam and later glued the last ply of 6mm. Similarly with the roof, but we built a mould outside the boat and constructed the roof on it. The difficult part was to keep the 6mm plywood in shape. I think that 8mm would have been better. If you need any other info on this, just drop an e-mail. Ciao, Fabio. In my experience, finishing a hull is as least as difficult as building one. No matter what level of finish you are going for, a little attention in the early stages of finishing pays off many times over when it comes to applying the only part of the finish you and everyone else will see; those last few thousandths of an inch of the final topcoat. Here are a few more details on how I finish using Interlux Brightsides one part urethane paints. I coat okume plywood to get a very thin layer of epoxy just to "bind" the wood fibers in the surface ply, not to float epoxy on the surface. I apply the epoxy with a 1/8" thick foam roller. I envision the surface ply somewhat like a 1mm thick layer of 'glass cloth or mat. What I'm trying to do is "fill the weave." Okume is pretty porus so it really soaks up the epoxy. I don't know if it's literally true, but I like to think the epoxy gets right through the surface ply to the first glue line. If this is so, it should hold true for all thickness of okume plywood because the surface plys are all about 1mm thick. Because the natural pores in okume are so small, most are filled by the epoxy. After the epoxy has cured, I sand with 150 grit to kill the fuzz. The sanding leaves a smooth surface but with the grain showing through the epoxy, it's still hard to see small surface irregularities. Primer has three roles; to serve as a binder for the topcoats, to fill very small holes (pores in smooth woods like okume, but not lauan), and to give a consistent solid color base for the topcoats. After the first primer coat is applied, surface irregularities just jump out at you. This is the time to apply surfacing putty, filler, etc., to fill dings, gouges, etc. Apply the filler as carefully as possible, it dries harder than the primer. If large bumps or blobs of excess material are left, it is all too easy to sand through the primer when sanding down the filler. In the future I plan to add some WEST colorizer to the epoxy (it comes in white and grey) to get some grain masking as early in the finishing process as possible. I hope to be able to see and fill surface irregularities before the first primer coat goes on. With luck I will be able to apply only one coat of primer to get the consistent solid-color base for the top coats. As I said earlier, I've used one-part Brightsides primer over the epoxy without any sticking problems (knock wood). If you inadvertantly sand through the last coat of primer, reapply primer to get the all important opaque base for the topcoats. I use white primer under light colors usually the interior and grey under the dark colors I typically use on the exterior; reds, greens. You can switch primers if you want to liven up a dark color, or tone down light ones. I apply top coats using the foam roller and brush technique. The film thickness of the coatings is thinner than when applied with bristle brush. For this reason three coats are required with the roller where two would do with the bristle brush. In my experience, the thinner films dry harder, smoother, and faster. I used Interlux one-part Brightside primer on my Nymph. I applied additional coats of (red) Brightsides about a week before MASCF. It was dry by the event, but some of it peeled from abrasion at the chines. Patrick Crockett wrote: "What brand of epoxy?" "Interlux technical support says, for an amine cured epoxy, you need to use their 2-part epoxy primer before using Brightsides. Have you had any problem with the paint not sticking well when you put it directly onto the epoxy?" I sand the epoxy coat lightly with 150 grit to knock off the fuzz, then wash with a mild solution of ammonia, rinse with clear water. I have used one-part Interlux Brightsides Primer on 20 -some hulls and never had a problem with it sticking to the epoxy. "How long does it take to completely dry?" Right now I'm refinishing a hull to take to the Annapolis Power Boat show this weekend. (Don't ask!) Its had an epoxy coat under the paint since FEB. It used to have a varnished interior (for "show and tell" at the WoodenBoat Show and MASCF), I'm redoing the interior in my preferred finish which is Brightsides with loads of Interlux Deglosser in the last coat to get a flat finish. No razor cuts inside or out: wash, sand very lightly, and paint. I love it.